NOTE: Workshop is full. Waitlist available. The 2018 WVWS Workshop will feature another talented and popular artist, Brienne M. Brown, NWS, of Julian, Pa. The workshop will be at our new venue in scenic Ritchie County at North Bend State Park near Harrisville, W.Va., and is scheduled for August 1-5, 2018. Brienne Brown’s work and bibliography can be found at her website, https://briennembrown.com, and also at her Facebook page: www.facebook.com/brienne.m.brown. North Bend State Park can be reached at 304-643-2931 ext. 0 for reservations. Find them on the Web at http://northbendsp.com or email them at northbend@wv.gov for information. The park is located between Harrisville (the county seat of Ritchie County) and the picturesque community of Cairo. From Parkersburg, the park is about 40 minutes east, and from Clarksburg, it is about 1 hour to the west. Brienne M. Brown is nationally known and has achieved numerous awards and recognition, including Honorable Mention in the 2017 Solomon’s Plein Air Festival and 2017 Outstanding Watercolor in the September Bold Brush Online Competition. 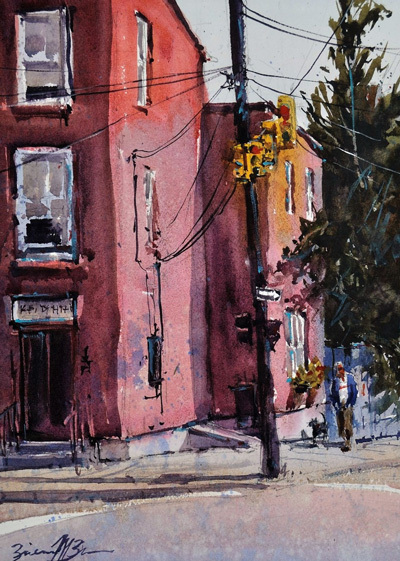 She holds signature membership in The National Watercolor Society, Western Federation of Watercolor Societies, Pennsylvania Watercolor Society, Plein Air Painters of Central Pennsylvania and many others. 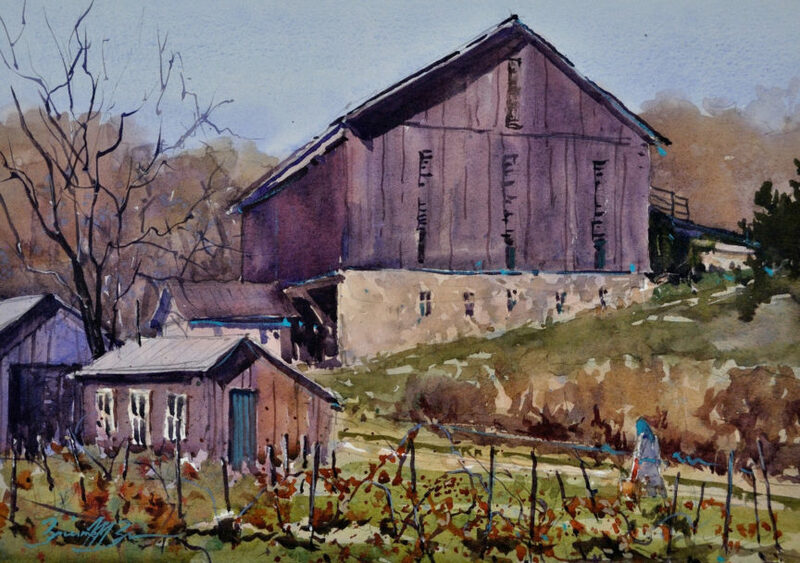 She also has exhibited with The American Watercolor Society. The cost of the workshop is $275 for members and $300 for nonmembers. Checks should be made out to WVWS and mailed to Judy Reed, 132 Liberty Street, Salem, WV 26426. She can be reached at 304-669-3041 or jmreed16@yahoo.com The workshop fee is nonrefundable after July 1 unless you can find a replacement and reservations must be made at the park by July 1. Judy is looking forward to seeing everyone! Return the registration form (see link button below) with your check to Judy (first come, first served). Reservations for rooms can be made with North Bend State Park by calling 304-643-2931 ext. 0. Call the park for room reservations by July 1, 2018. Check the WVWS website for updates. This workshop will fill up quickly so send your workshop fee to reserve your space!